The Equal Opportunity in Engineering Program seeks to develop students with strong leadership, communication and team-building skills through real-world experiences and connections to leaders in industry and academia. Held in the spring semester, the Leadership Development Seminar is an introduction to leadership principles and theories including effective team communications and conflict resolution. 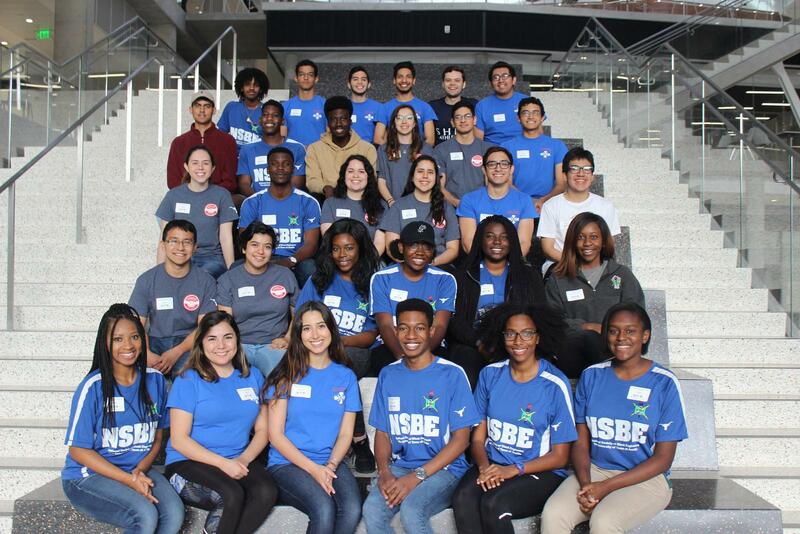 The Leadership Empowerment Weekend provides 30 engineering student leaders from Pi Sigma Pi, the National Society of Black Engineers (NSBE) and the Society for Hispanic Professional Engineers (SHPE) with the opportunity to enhance their leadership skills. Engineering Peer Leaders are upper-division engineering students who are dedicated to encouraging student achievement. Peer leaders provide a perspective on academic success that is uniquely tuned in to the current student culture. Texas Engineering Ambassadors serve as representatives of the Cockrell School. They participate in a wide range of activities and initiatives. EOE works closely with the student organizations Pi Sigma Pi, the National Society of Black Engineers (NSBE) and the Society for Hispanic Professional Engineers (SHPE) to make it easy for students to connect, form study groups and develop friendships that last well after graduation.